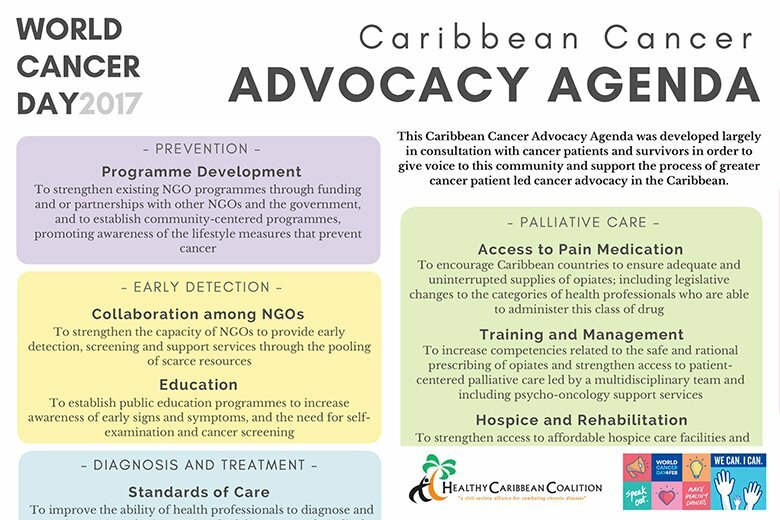 The HCC Caribbean Cancer Alliance Celebrates World Cancer Day 2017 with the Launch of Our Caribbean Cancer Advocacy Agenda. 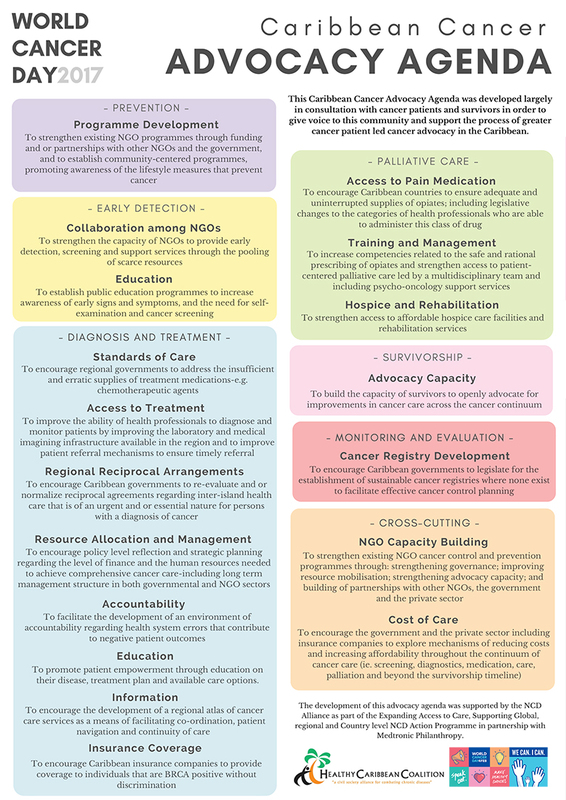 This Caribbean cancer advocacy agenda was developed largely in consultation with cancer patients and survivors in order to give voice to this community and support the process of greater cancer patient led cancer advocacy in the Caribbean. Click on the image below to see full size and download.